Critical thinking lessons for the anti-GMO movement: generalizations, evidence, scrutiny, politics. The debate over genetically modified organisms is a great case study in how to think critically. This debate is about more than papayas. It’s about how we assess the world. It’s gut-check time for the anti-GMO movement. In the past couple of years, some of the country’s best science journalists—Amy Harmon, Nathanael Johnson, Keith Kloor, Michael Specter, and others—have shredded many of the movement’s claims and arguments. Three weeks ago Slate poked more holes in the case for banning or labeling genetically engineered food. Some GMO critics, to their credit, seem open to reforming the movement. Gary Hirshberg, the chairman of Just Label It, has been pounded by GMO advocates for unscientific statements. But in his latest essay, Hirshberg shows tentative signs of turning away from allegations that GMOs per se are dangerous. He’s trying to refocus the debate on transparency, herbicidal applications, and long-term monitoring. Others are clinging to the same old discredited attacks on GMO safety. Chief among them is Claire Robinson, an editor at GMWatch and researcher for Earth Open Source. Two years ago, when Johnson investigated issues on both sides of the GMO debate for a series in Grist, Robinson accused him of parroting industry spin. Now Robinson has written a three-part series leveling a similar charge at Slate. Her arguments fail, but they do so in an instructive way. By exploring these common anti-GMO errors, you can learn a lot about how to think critically, and not just about GMOs. Here are some of the lessons. No. 1: Don’t rely on authority. Robinson says you shouldn’t settle for vague assurances from scientific organizations. I agree. That’s why I drilled down into four case studies to look at specific evidence. The evidence, not the assurances, is what debunks the arguments against these GMOs. So when Robinson tries to drown out that evidence with her own appeals to authority, citing bogus “science-related organizations” such as the American Academy of Environmental Medicine—a quack group dressed up as an association of scholarly referees—don’t fall for the act. No. 2: Beware of generalizations. Robinson quotes a statement from the World Health Organization: “Different GM organisms include different genes inserted in different ways. This means that individual GM foods and their safety should be assessed on a case-by-case basis and that it is not possible to make general statements on the safety of all GM foods.” She portrays this as an argument for regulating GMOs more strictly than non-GMOs. She’s wrong. The statement means exactly what it says: Instead of segregating food into clumsy, overbroad categories, each product should be assessed on its own merits. That’s the problem with GMO labeling: It’s unwarranted segregation. No. 3: Read the fine print. To scare you about glyphosate, an herbicide that is used in tandem with some genetically engineered crops, Robinson displays a headline from Nature: “Widely used herbicide linked to cancer.” She puts the headline in a graphic, so you can’t click through to read the article. If you look up the article, you’ll find caveats: The risk is unquantified, and according to an expert quoted in the story, “the evidence cited here appears a bit thin.” The article also debunks a claim from Monsanto, which has implied, misleadingly, that glyphosate has been put in the same possible-carcinogen category as coffee and cellphones. Don’t trust the corporate spin. Don’t trust the anti-corporate spin, either. No. 4: Respect evidence. Robinson says you can’t trust me because I’ve “claimed that drones cut down on civilian casualties.” Guilty as charged. Here’s my evidence that the drones claim is true. You may interpret it differently. But the important thing is that I’ve put facts on the table so we can debate them and test our assumptions against data. If you follow Robinson’s approach—ridiculing propositions as absurd a priori—you’ll learn nothing. No. 5: Keep an open mind. Robinson points out that I initially favored the Iraq war, later regretted it, and eventually wrote about lessons I learned from my mistake. She says this shows I have “a history of bad judgment calls,” and therefore you shouldn’t trust me. She has it backward. The people you shouldn’t trust are those who reject new information. When events or experiments don’t turn out as you expected, you have to rethink your assumptions. Otherwise you end up clinging to dead dogmas. No. 6: Scrutinize everything. In the Slate article, I accused GMO critics of selective scrutiny: playing up the risks of GMOs while playing down the risks of non-GMO alternatives. 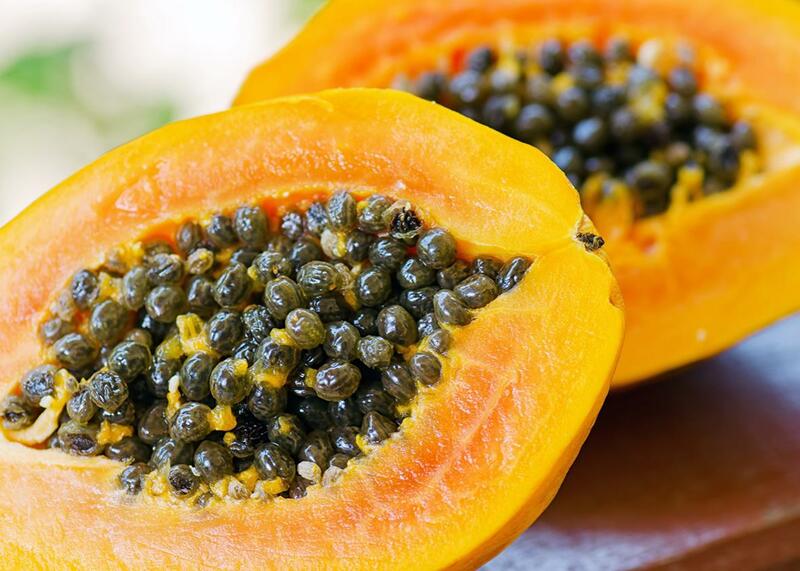 One example was a papaya engineered with a gene from a virus. The papaya has been portrayed as dangerous, even though people have safely eaten non-GMO papayas loaded with the same virus for decades. Robinson says the comparison is faulty because “the genetically engineered form of the virus is not the same as the natural virus.” She claims that “the GM gene insertion and subsequent tissue culture processes used in genetic engineering create mutations. These can result in biochemical changes in the plant, which in turn could make the plant unexpectedly toxic or allergenic.” But mutations are hardly unique to GMOs. They’re ubiquitous, especially in plant breeding. You’re no more likely to get a toxic mutation from a GMO than from a non-GMO. No. 7: Compare the options. When you’re told something is bad, apply the same standard in judging the alternatives. Glyphosate is a good example. GMO critics say it’s hazardous, but they’re strangely quiet about the herbicides it has replaced. Robinson says the USDA report I cited—which said the adoption of herbicide-tolerant crops “has enabled farmers to substitute glyphosate for more toxic and persistent herbicides”—doesn’t mean glyphosate is “relatively benign.” But that’s exactly what it means. If you look up which pesticides have declined in use as glyphosate has increased, you find many that are far more hazardous. And if you study the World Health Organization’s pesticide safety ratings, you’ll see that glyphosate is in the second-least-hazardous category. Most of the herbicides it has replaced are worse. Robinson also says the study was too short. But just in case scientists follow up with a longer study, she’s ready to move the goalposts again: Even a two-year study in cows (“equivalent to around eight years in human terms,” according to Robinson) isn’t enough. The allegations and demands are endless. When you keep reaching for higher standards and new rationalizations, you’re just protecting your beliefs from falsification. No. 9: Beware of political agendas. Robinson dismisses Golden Rice, which is engineered to relieve vitamin A deficiency, as “a poster-child for GM” and “a weapon to attack the biotech industry’s critics.” But when you see everything in political terms, you lose sight of the underlying reality. Rice is food. Vitamin A is a nutrient. If you campaign against a nutritional project because you see it as a weapon for the other side, you are the one playing politics. This kind of us vs. them thinking can corrupt anyone. In the case of GMOs, it has corrupted too many environmentalists and public health advocates. No. 10: Beware of business agendas. Robinson discounts GMO research by anyone who has ever been linked to Monsanto. But she sees no problem with her own connections to the Organic Consumers Association, which represents “several thousand businesses in the natural foods and organic marketplace,” which would benefit from mandatory GMO labeling. Robinson also calls genetically engineered papayas a failure because of “market rejection.” But that’s a circular argument, since anti-GMO groups have been driving much of the market rejection. Monsanto isn’t the only one manipulating the market in this debate. Keep your eyes open, and look both ways. No. 11: Beware of conspiracy theories. Robinson says the Slate article was “political” because it “was published just before the Republican-led House of Representatives considered a complete ban on mandatory GMO labelling.” That’s news to me, since I didn’t even know the House vote was coming. As for Robinson’s suggestion that I’m a rabid Republican and my colleagues are in cahoots with the GOP, I bet that’s pretty funny to those of you who actually read Slate. Don’t be a sucker for conspiracy theories. They make you feel vigilant, when in fact you’re being credulous. No. 12: Check your behavior against your values. When you find yourself rooting for the failure of nutritionally enhanced crops, arguing that it’s OK to try to block these crops as long as you don’t succeed, or dismissing vitamin A deficiency in 15 percent of Filipino toddlers and preschoolers as no big deal, it’s time to ask yourself how you got to this point. No. 13: Think about the big picture. Robinson brushes aside two case studies in the Slate article, noting that genetically engineered papayas are “little grown” and Golden Rice is “unavailable.” But if you ignore the best applications of a technology, and you restrict or ban it because you don’t like other applications, you foreclose its possibilities. Why would you demand a label that puts the rice, the papayas, and safer potatoes in a category with products engineered for herbicide tolerance? Genetic engineering is a technique, not a type of food, and banning it would shut down all the good things it can do. I can’t promise you every GMO is safe, any more than Robinson can promise every non-GMO is safe. I’m not here to sell you an ideology or win a fight. I’m here to encourage you to think critically. If you follow these 13 rules, you’ll avoid the worst mistakes of the anti-GMO movement. And you’ll free yourself from dogmatists, even those who claim to speak for doubt.